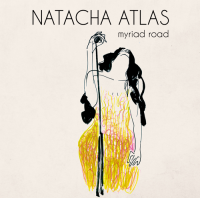 Vocalist Natacha Atlas seems to embody the modern musical millennia: She was born in Brussels and raised in one of its Moroccan suburbs; her compositions and singing reach into and crisscross storied European and Arabic musical traditions. Primarily co-written and performed with multi-instrumentalist Samy Bishai along with pianist Zoe Rahman, a chamber orchestra and 20-piece Turkish ensemble, Mounqaliba is most likely the clearest representation of Atlas' ambitious vision so far. "What I hope I have achieved is to match the lyricism of classical music with the inherent poetry of Arabic," she says, "through the juxtaposition of western classical string sections with traditional Arabic instruments, classical Arabic poetry against abstract impressionism, traditional Arabic percussion with smoky jazz kits..."
The strings, percussion and other instrumentationespecially Rahman's unaccompanied and gorgeous "Bada Al Fajr" soloprove quite complementary and evocative, but Atlas' voice dominates their colorful landscape with a sound that's simply magic and is both timeless and modern. Her voice curtsies to, then dances with, the twirling strings of the Arabic traditional "Muwashah Ozkourini," to call the instrumentation together beneath its wings, then swims in Arabic harmonic and melodic pools more than four centuries deep. Atlas directly juxtaposes this Arabic traditional against her hypnotic treatment of Nick Drake's somber elegy "Riverman." "Riverman" flows into another pool of churning modern and ancient streams: "Batkallim," a swirling undertow of hip-hop and traditional Arabic rhythm that sputters and loops back into itself, rising and falling beneath her singing as she surfs its surface, then speared through by Rahman's thunderous piano and convulsing to full stop. Her piano introduction to the title track emerges as the ghost of these closing chords, a regal fluted melody ornamented by layers of strings and vocals that float down within the arrangement. 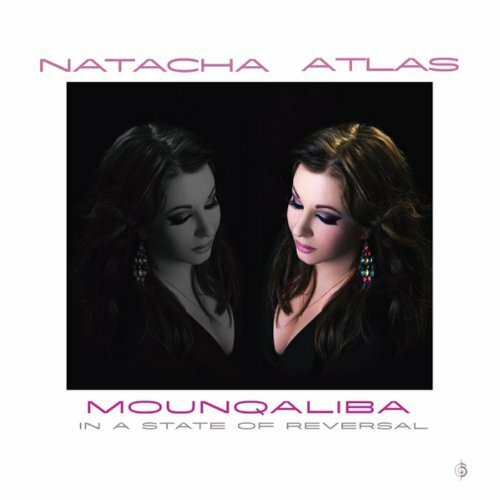 "Mounqaliba" beautifully realizes Atlas' ambition of harmonizing the frameworks of Arabic and European classical music. She also updates the wedding folksong "Taalet" with her "back for the future" aesthetic, and swirls the hip-hop beat and string arrangement into "La Nui test Sur La Ville" (from the repertoire of French chanteuse Francoise Hardy) like thick cream into dark black coffee. Atlas' steamy, moaning vocalese that closes "Sur La Ville" transcends the differences between European and Arabic languages because it uses no language at all, and accomplishes without words the ambitions of her music. Authentic field recordings from Marrakesh, Cairo and elsewhere, along with snippets of psychological discussion of free will, also serve as mileposts on this remarkably programmed journey through Mounqaliba. Track Listing: Intro; Makaan; Matrah Interlude; Bada Al Fajr; Muwashah Ozkourini; Riverman; Batkallim; Mounqaliba; Le Cor, Le Vent; Direct Solutions Interlude; Lahazat Nashwa; La Nui test Sur La Ville; Fresco's Interlude; Ghoroub; Evening Interlude; Taalet; Egypt Interlude; Nafourat El Anwar. 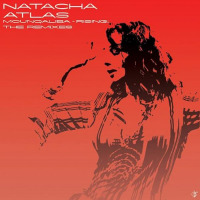 Personnel: Natacha Atlas: lead and background vocals; Louai Alhenawi: ney, background vocals; Joseph Aquilina: background vocals; Samy Bishai: beats, piano, programming, viola, violin, background vocals; Ian Burdge: cello; Paul Castle: background vocals; Mandy Drummond: viola; Eser Ebcin: accordion, qanoun, background vocals; Julian Ferraretto: violin; Vince Green: viola; Andy Hamill: chromatic harmonica, double bass; Ivan Hussey: cello; Pat Illingworth: drums; Danny Keane: cello; Kemper String Orchestra of Istanbul: strings; Oll Langford: viola; Martin Lissola: violin; Jennymay Logan: violin; Gillian Maguire: violin; Alcyona: piano; Aly El Minyawi: percussion, background vocals; Jocelyn Pook: viola; Zoe Rahman: piano; Emma Smith: violin.